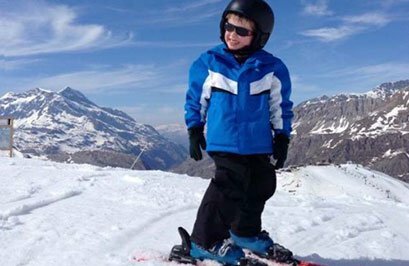 Chidren's Discounts in Val d'Isère, France | YSE ski holidays. Under 2: we charge £125 which entitles the baby to a seat on the coach but no plane seat (the baby sits on an adult’s lap). This also includes the use of a high chair, travel cot and quilt in the chalet, puréed food for babies, but no proper bed or baby-sitting. If a child requires more than puréed food, we charge £30 in addition to the £125. Please note: if you under-occupy a chalet and pay an empty bed charge, we do also charge for a baby. Ages 2–12: £50 off per week in standard beds. Please note that children in extra beds do not receive this child discount. Under-17s: can be taken to any chalet booked by one group. Parties not filling whole chalets can take children from 5 upwards to various of our larger chalets on 16, 23 and 30 December 2018; 10 and 17 February; 31 March; 7 and 14 April 2019.